We run a year round program of lessons, with the aim of offering all our members the chance to train at any level across all disciplines. Regular lessons are offered with local instructors at various venues on weekdays, evenings and weekends and we also offer clinics with visiting instructors often tied in with demos. Lessons are provided with a subsidy for all members and there is an additional subsidy for members who have helped with running club activities. For more information of the current subsidies see ‘Benefits of Joining” on the Membership page. Chris has been an instructor for the Club for many years. His experience is vast and spans the range of disciplines both in competition and in the training of others. Chris is a Pony Club and Riding Club examiner, and a hunter judge, presiding over events at many of the top shows. He has a long history of coaching his pupils to the top levels eventing and for many years was the trainer of the BE Northern pony teams. Chris’s approach is to develop a sound basis for the partnerships to progress from and to develop horse and rider to the best they can be. 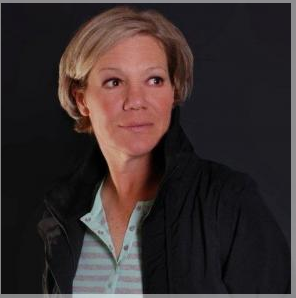 Jane has a wealth of experience both competing and training combinations to the highest levels. However, she equally committed to those who have non competitive goals, and just want to improve and have fun doing so. Jane held the position of Chef D’Equipe to the Senior British Dressage team at Olympic, World and European Championships from 1993 to 2000. She also rode for Great Britain in the Los Angeles Olympics in 1984. Many will remember the success they had in the Freestyle to Music and winning the Silver in Toronto in 1986. Jane’s lively but sympathetic approach makes these lessons both enlightening and fun. Tracy is particularly interested in finding and producing young horses and trains prides herself on keeping training and management simple . 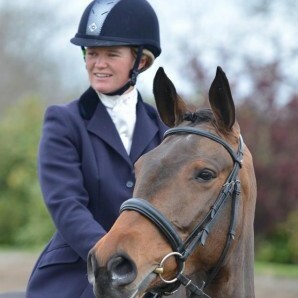 As well as a long term member, Tracy is a regular trainer for the Club and has over twenty five years experience of coaching horses and riders of all ages and standards. She has produced young horses from scratch to top level eventing including competing at Burghley CCI****. She is a Pony Club Chief Instructor and Riding Club trainer, and has achieved the UKCC Level 3 coaching certificate in addition to being a BHSII and BE accredited coach. experienced horse lover with a logical system of developing partnerships confidence and success. Hazel has ridden and competed horses from a very young age, competing in her first ode at 6 years old. She has produced several horses herself up to 3* level, having considerable success with young horses and last season jumping clear around 3* events such as Bramham and Blenheim Palace on her own mare Simply Clover. Hazel has been an active member of HCTG since a child and she rides for/trains the club regularly. Katherine runs her own competition, training and livery yard at Crosper Farm, between Harrogate and Wetherby. She has a large outdoor arena and cross country schooling field. Peter, has himself ridden as well as produced and taught pupils to FEI dressage level. 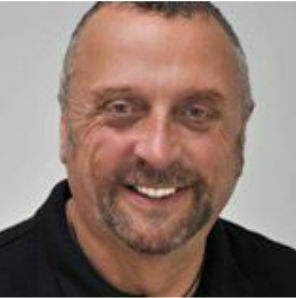 Now based in Cumbria, he teaches dressage lessons and clinics throughout the UK, Canada, Australia, Iceland and Europe. As well as a BHSI, trainer, judge and rider, Peter has a unique approach to combining bio-mechanics, horse psychology and dressage training with Yorkshire common sense to produce remarkable and long-lasting results in both horses and riders. Originally from Northern England having spent time living and working in Yorkshire. He was one of the youngest people to gain the coveted BHSI certificate aged 22 and went onto be a Senior Examiner for the British Horse Society. For many years, Peter was manager and advanced instructor for the Olympic riders Christopher and Jane Bartle at the Yorkshire Riding Centre. In Peter’s clinics his enjoyment of teaching and developing lifelong riding skills is clear, as his growing list of clients in the UK range from Pony Club and Riding Club members to weekend riders wanting to improve their partnership to Professional Eventers and Dressage riders. Peter’s number one priority is the physical and mental well being of the horse throughout the training process and competitive career.